A card game classic since 1906. You bid. Youname trump. You take tricks. But beware of thewild Rook bird who can swoop in and changeeverything! Refresh of package graphics andstructure to follow overall card game strategy. 2-6 players. Ages 8 and up. 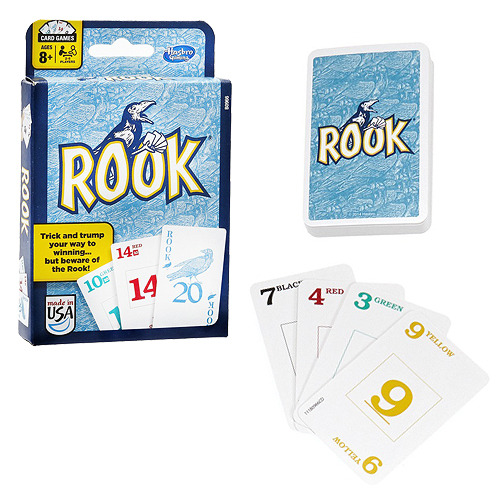 Rook Card Game Revision contents include (subject to change): 57 cards and game guide.